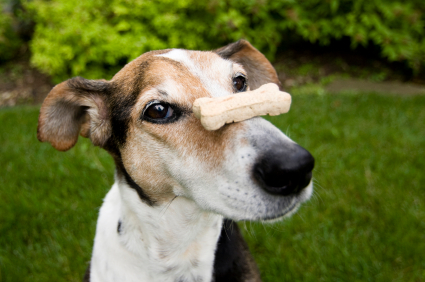 VisitÂ http://visitsteve.com/made/selfcontrol/Â and download Self Control 1.3. Double click the â€˜SelfControl-1.3.zipâ€™ file in your Downloads folder. Drag the SelfControl.app icon into your Applications folder. Double click the icon to launch. You may also want to drag this icon into your dock as a shortcut. Once SelfControl opens Click on the 'Edit Blacklist' button. Here you can add website which you would like to restrict. Alternative you can change the Blacklist to a Whitelist. This will mean that you can only visit the sites listed and no others. Once started, it can not be undone by the application, by deleting the application, or by restarting the computer â€“ you must wait for the timer to run out. Now as a parent you can head out for the evening knowing that your child will not be wasting time on social networking sites, and hopefully focused on their homework for a set period of time! You must have an Administrators account on the Mac, and the â€˜childâ€™ account will be Managed (ie administrator rights removed). If the Macbook is managed by a school IT department you may want to contact them first and ask that they add a parent account for you. Log into the Mac with your new account, being certain that you keep your password private, and head over to your System Preferences/Users & Groups. Be sure to unlock the padlock in the bottom left corner. Select yourÂ child'sÂ account and check the 'Enable Parental Controls' box. Now click once on the 'Open Parental Controls' button. It is important not to lock down the child account too much as this will render the account almost redundant. You do not need to Use Simple Finder. I would not recommend limiting any applications, however if you wish you may choose to restrict social networking applications like FaceTab, Skype, Microsoft Messenger etc. Check the 'Limit Applications' box and then check the applications you want to allow. To search for an application enter its name in the search field. The Next tab deals with website restrictions. You can limit access to adult websites or you may want to create a 'white list' set of acceptable websites which the user can only access. Nest up is the People tab. Here you can restrict certain emails from contacting the user. However, this only works if the user is using the Mail or iChat application. The Time Limits tab is a very handy tool. Allow the user computer access for just 3 hours a day, make the user account log out at a certain time each school night and a later/earlier time at the weekend. Finally the Other tab deals with profanity in the Dictionary, access to printers, and CD/DVD burning. There is also one last check box which you may want to check; 'Disable changing the password'. This stops the child account from changing their own password. Now that you have set the restriction lets head over to the 'child account' and test our settings. The useful thing here is that should your child require access to this applications you, as an Administrator, can authorise use for 'Allow Once...' or Always Allow'. Again if theÂ AdministratorÂ is available you may choose to enter your password and lift the restriction temporarily. These tools are easy to use and can put a lot of control into the hands of the administrator. The most valuable tools here are probably the time restriction tools, enabling the computer to not take over the users life completely. If you notice that your child is constantly playing computer games etc, just use the time restriction tool, thus ensuring that there is time left for family time. ProblemÂ - Student has to read a 5000 word document. Student has a low concentration span and needs assistance. SolutionÂ - One click -Text to Speech conversion. Another ProblemÂ - Student collects loads of text while researching a topic and needs to read or scan through many compiled articles quickly. Another SolutionÂ - Text to speech conversion, automatically added to iTunes library for later listening. OS X has some excellent built in features which can assist students in their studies. One of the most impressive features is the ability to quickly convert paragraphs of text to spoken word and then transfer the spoken word to your iTunes library for later listening, perhaps while commuting to school or exercising in the evening. Since introducing this feature to a number of students who struggle with their concentration, I have seen them listen to and consume many documents, study articles from wikipedia and even finish entire novels. All of this can be done while on the move too, if you listen back via your iPod. Where possible it is always best to have the text printed out so that the student can follow the words and make notes if necessary. However as a quick study aid, while surfing the internet and researching - a good technique is to collect many paragraphs on your topic, listen back to it and then make your own notes and observations. Ask your students toÂ researchÂ their topics by collecting (and referencing) many different internet sources. Once they have compiled different texts, simply convert all the written research to Spoken Track. That evening and whileÂ travelingÂ to school the next day listen back to the research, and once in class recite and/or write down what you have remembered from listening to the 'research track'. Now go back to you Pages or Safari application and highlight some text. From the application menu choose Services 'Add to iTunes as a spoken word. The processing time may take a few moments depending on how much text you have entered. iTunes will open once complete and the file is ready to drop onto your iPod or iPhone for listening later. Simple highlight your text and right click. The service has already been activated for you. Just select 'Add to iTunes as a Spoken Track'. I have compiled a fairly extensive list of sites which allow for the streaming of documentaries. Most of the documentaries can be classed as educational, some content is fairly cutting edge and thought provoking so be warned and choose wisely. We in no way endorse the views expressed in any of these programs! You will find many provocative but also informative documentaries. These sites mainly cater for the American audience with a lot of political views being expressed. However you can also find some real gems like the complete BBC documentary 'Planet Earth'. Its worth noting that the sites listed below generally do not host the actual video footage. Often they are just embedded links to other video hosts such as YouTube, Google Video 0r Vimeo. This is worth remembering because if you would like to share these videos with your class but not get them distracted with other content, just grab the embed code from the host and place the videos in your own wiki or website. If you need help doing this let us know. In no particular order take a look at the below documentary sites. PBS LearningMedia is a dynamic platform offering the best of public media content and produced specifically for PreK-16 teachers. With free access to over 14,000 high-quality resources tied to national standards, teachers can download, save and share exactly what they need for an inspired classroom experience. If you feel like embracing legal Torrent sharing this is a good place to start. We will cover the basics of bit torrents in a future article. OneBigTorrent.org is a new place for sharing material that deals with or is relevant to issues of social justice, progressive and radical politics, independent media, ecology. We run a local bittorrent tracker (which we encourage uploaders to use), and we also host torrents from other trackers, as well as ed2K and Magnet links. There cannot be aÂ formalÂ definition of what content we deem appropriate for upload. If the concepts above don't suit you, browse the index -- you'll get the idea quickly. We typically remove obscure stuff dealing with UFOs, mind-control, secret societies,Â Black HelicoptersÂ and what have you. The net is full of this bs anyway. We hope that you find these links useful. Don't forget to bookmark this page if you want to refer back later. We have published this set of useful keyboard shortcuts on our 'Apple in the Classroom' section so you can download them and print them off. Although this is not a fully comprehensive list of the OS X shortcuts we feel that Teachers especially would be able to benefit, mainly because they will save you time, lots of time! So please refer to the list and if you feel that we have missed anything important let us know in the comments section. âŒ˜ command key - Your are commanding your computer to perform an action. âŒ¥ option key - You will be presented with options/alternatives. âŒƒ control key - A modifier key. Can be used in combination with the above keys. â‡§ shift key - Rarely for shortcut modification, but those that do are worth remembering. Keep the command key held down while pressing tab. This allows you to view all of your open applications. You can bring one application to the top of your layer (making it the active application). You will notice the spotlight search open in the top right of your screen. Now type â€˜ituâ€™ and hit return. You just launched the iTunes application. Also a great way to find files, email etc. Finished with an application? Close it! command + Q - Think, I am â€˜commanding the computer to Quitâ€™. command + S - Save. command + N - New (new email, new document, new Finder window, depending which application you have active). command + P - Print. command + C - Copy. command + X - Cut selected text to primary clipboard. command + V - Paste clipboard contents. command + Z - Undo. command + H - Hide active application. command + delete - Delete selected file/folder. command + i - Information, such as file size about selected file/folder. 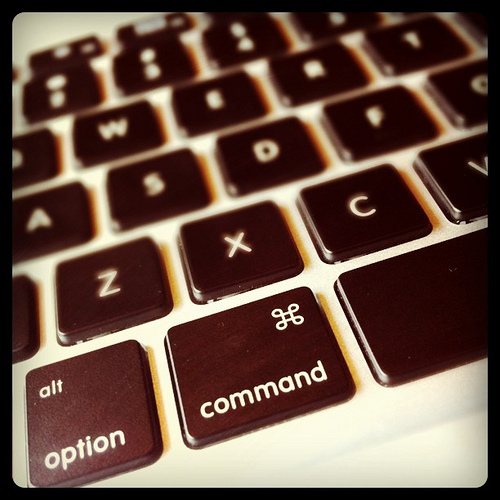 command + option + i - using the option key here is a variation of the above command. Now the information window dynamically changes to reflect the currently selected file. Command + Shift + 4 + Space bar + click on window - Takes a screenshot of a certain window. command + control + D - Mouse over any word and this key combination will reveal the dictionary definition and thesaurus option. command + T - New tab in a internet browser window. command + K - Cuts to secondary clipboard. command + Y - Pastes secondary clipboard contents. spacebar - Press when any file in selected to preview that picture, document, even movies. option + shift + command + V - Seriously, try this one once and youâ€™ll never stop using it. It will paste text into a document and copy the Paragraph Styles of the document. This one will save you the most time. When viewing menus, such as the ï£¿ menu hold down the option key - notice that About This Mac changes to System Profiler. This expansion of menu options is common with the option key. This list may seem like a lot to remember but I canâ€™t recommend enough that you try a few of these. Print out this document, keep it near by and I guarantee that you will save minutes everyday. Those minutes add up and you will be far more productive. If you have any of your own favorites that are not on this list please contact us at iSupport and weâ€™ll happily add them. Time Machine has to be one of the most useful tools on the Mac. It's one of those options you hope you never have to use, but when you do need it, it becomes invaluable. Under the Time Machine preferences, you do have the option to exclude files & folders. I use this feature when I am storing large files (usually videos), knowing that I either have a backup somewhere else, or only want them on my machine for a short period of time. This helps if you only have a small Time Machine drive, or know you will never need those files/folders again. Click Save and you are done. Time Machine will now exclude these files & folders from your backups. Your welcome! 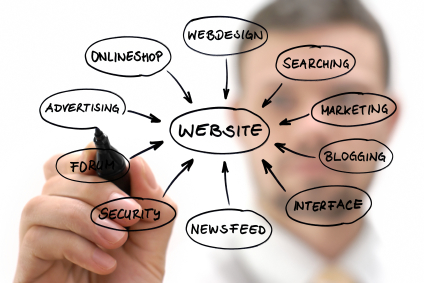 Things to consider when building the perfect school, college or university website. When I was recently asked to 'up-date' my school website I went through many stages of research, design & development. I thought it would be valuable to share my ideas and findings with you, just incase you find yourself wanting to overhaul your school or college's online presence. Firstly I spoke with many of my colleagues & I asked them how often they used our existing website & for what purpose. The response regarding the original website was fairly negative. Not one member of staff had visited the website since their initial enrollment into the school. Next I spoke with some parents, most of whom responded with complaints of 'too much information" and a "badly organised space". However the most common complaint was that the website was quickly outdated and it all seemed rather static. extremely easy for anybody to update but also one that looked great. It needed to house a lot of information but at the same time be easily navigated. I also wanted the website to be used by both staff, students and parents alike. I wanted it to become a type of forum where parents could easily be notified of upcoming events and news but also one where job applicants could post their resumes. I wanted current staff to visit the site and easily access the intranet. It had to be full of multimedia & showcase students work in picture & video. To cater for all of these groups that make up your school community can seem like an overwhelming task, but it can be done. And you can do it all by yourself for next to nothing. 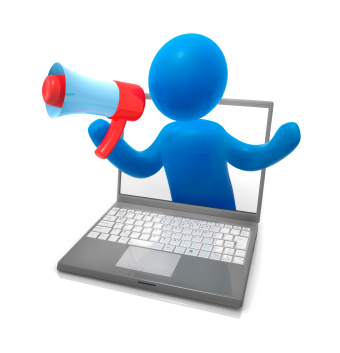 Wordpress is a platform normally associated with blogging. It's popularity has grown hugely in recent years and the development of the software has come a long way. I chose to use Wordpress because I new that my final website was going to have to be built on blogs, or news feeds. These news feeds could be written & published by a variety of people and a large variety of people will subscribe to those feeds. This would ensure that the site was always up to date, and could also hold a lot of organised information. By breaking my community into 4 different categories titled Junior, Middle and Senior School and also a Community feed, I could make the information easy to be consumed. Each article published would not only be assigned a category but also time stamped allowing for further search terms to be applied. Wordpress not only allows for articles to be published on ever growing feed pages, it also allows for static pages to be created. These static pages would make up the About Us & Contact style pages. I would also develop a simple Careers page which would house a list of available jobs and embedded forms so that one could apply online for that job. A Wordpress site uses CSS for almost every design element on the page. Cascading Style Sheets is an amazing coding language where you can specify everything from your Paragraph Styles to the Padding used around pictures. You do not need to know any CSS to get started with your site but to truly personalise the look and feel it will help to root around in the style.CSS sheet at some stage. The website will need to reside somewhere. In my case the school preferred the website to be hosted internally, on our own servers. The alternative is to host the website with a private hosting company such as 1&1 or Go Daddy. Unpacking your Wordpress files and establishing a MySQL database to store all of your articles and pictures is only a Google search away. Google analytics and Feedburner are two services which I recommend. Feedburner allows you to monitor how many people are subscribed to a particular Feed in your website, and Google Analytics provide a detailedÂ overviewÂ of your sites traffic. My role as developer of the site had to end just there. In a short time frame of just 4-6 weeks I had to have the site ready to go but also have 2 members of my admin team fully trained to update and maintain all of the articles video and picture content when required. It is here where the true ease of use and flexibility of Wordpress came into it's own. To see the website click here. If you require any assistance or general support for the online presence and marketing of your school website please contact iSupport. 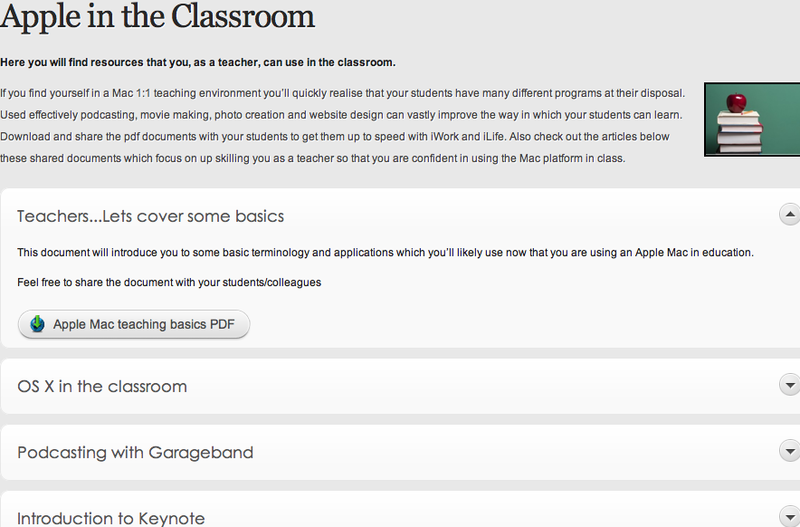 At iSupport we have made it easy for teachers who find themselves in an Apple 1:1 environment. 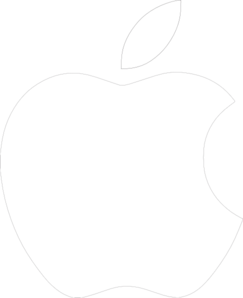 If you require a basic introduction to the Apple iLife or iWork suite then head over to our new Apple in the Classroom page. We have created a selection of PDF documents which you can download and use in class.Â New and old teachers will find our free resources very useful. We have been contacted by a few people and some requests have been put in for a demo of 'Green Screen in iMovie' and also using a 'wiki or Â blog in the classroom'. We will have these documents prepared in the coming weeks - we promise! But please keep the request & comments coming in. Also we are preparing video guides on the use of the iPad in a learning environment - due out this week. We look forward to seeing you on the site soon! If you are working in an organisation with many Mac desktops and Macbook laptops being able to truly personalise the login screen can have many advantages. You may want to push out an important message to your users. Or perhaps leave a reminder to your students that changing the system settings may have grave consequences! It is also a great way to distinguish a whole suite of macs in one room, and a group of mobile MacBooks - a good reminder when you are performing maintenance exactly which computer you are using! Press Command-Shift-G (with the Finder active) to bring up the 'Go To Folder' window. In the folder you will find a 'DefaultDesktop.jpg'. Better make a copy of it just incase. Thats it, you're all done! You can also add a personal greeting, warning or "this Mac belongs to me" message. In our College we remind students that the Mac is being remotely managed. Hit enter on the keyboard, you may need to authenticate as an admin. These methods are quite different - one uses the the Terminal to code the change while the other just tricks OS X into posting a different image. Safari's default option is to automatically 'Open "Safe" files after downloading'. This is not a good idea, it seems that OS X has troubles distinguishing safe from un-safe files. DisableÂ 'Open "Safe" files after downloading'. In the top left of the screen click the Safari menu, then Preferences. Uncheck the "Open 'safe' files after downloading" option. How do I removeÂ MacDefender, MacProtector or MacSecurity? Open Activity Monitor located in your Applications/Utilities folder - Alternatively type "Activity Monitor" into Spotlight and hit return. Locate MacDefender, MacProtector, or MacSecurity in the Process Name column. Highlight the title then choose Quit Process from the menu bar. Next go to System Preferences/Accounts. Select your account from the left-hand column. With Login Items highlighted select the program from the list then press the '-' (minus) button. Finally check your Applications folder and drag the program into the trash can. Empty your trash can. The excellent ClamXav virus scanner continuously updates its definitions to detect and remove these types of "scareware" programs. For more information click here. Generally it is considered good practice to never 'click through' from unknown pop up windows that appear on your screen. And you should never make payments to an organisation unless you have instigated the transaction or it is a reputable company. 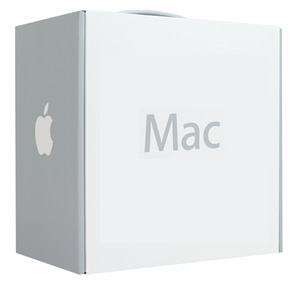 New Mac or new image? 10 things to consider doing. This article is perfect if you have just bought a Mac & you're unsure what to do with your new machine. Network administrators who have to create an 'image' for their company or school will also find this interesting. When you create an image which will be duplicated across 100's of machines in your organisation you need to be sure that you provide a flexible set-up that caters for every possible outcome. All of these points below should be considered when creating a clean start or image. Run System update from the Apple menu. 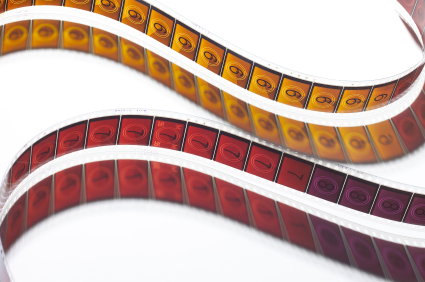 Always set the clock so that the dividers : between the numbers flash. This quick trick is an easy way to see if the system has encountered an irrecoverable crash. If you're having issues & those dividers are not flashing you will have to hold down the start button until the machine shuts down. You may also wish to display the date. Remove around 3 gigs of unneeded language files fom your system. Monolingual is a great 3rd party tool to do this for if you are not confident doing it manually. I highly recommend monolingual, it is a free download so please check it out. Screen real estate is vital. Ensure that 'automatically hide and show the dock' is selected in the Dock preferences. Keeping the dock out of sight will allow 13" macbook screens to use their full 800 pixel depth all the time. Enable right click for the mouse. There is nothing more annoying then plugging in a mouse only to find that the 'right click' doesn't work. Â It is listed as secondary click in the Mouse Preferences. Do not enable either Spaces or Expose. This will only lead to confusion for the user, especially if they are a beginner. Once the user becomes familiar with 'active screen corners' and why expose or Spaces will be beneficial for them allow them to enable these features. You will find this in the Accounts/Login Options, this is vital for security. Assuming that your organisation runs behind certain proxies you will need to enter those network settings to allow access. Or indeed for home users you may find yourself regularly visiting a location where you are always entering an 802.1x authentication which just don't need when accessing you home network. Create 2 different locations in the network settings menu. You can quickly swap the location from the Apple menu. Between Fifox & Safari you should be able to render any part of the Internet correctly. Surprisingly the are many tasks which only Fifefox can perform properly online. You'll know when you'll need it. Downlaod & install Flip for Mac. This will allow you to run most .wma & .wmv (normally reserved for Microsoft platforms) files.Â You may also want to consider installing VLC player. This way any video formats that QuickTime cannot play should be covered by VLC. Click on the Finder menu & choose Preferences. Click the Sidebar menu. If you are just not going to be using the Mobile Me service uncheck the iDisk device.You may wish to further customise the Finder window from here. Â For more on the Finder check out this article. Select a PDF document and press command I. In the information window that opens see that 'Open with' has Adobe Acrobat Pro selected. Then click 'Change all'. The weekend brought together so many different people involved in education in Australia & New Zealand.There were teachers from all walks of life, IT engineers, principals, department officials even a Museum curator. But we also spent our time with an International Camera man, a political correspondent and an Indigenous Knowledge expert to name just a few. The 4 days were littered with outstanding workshops. 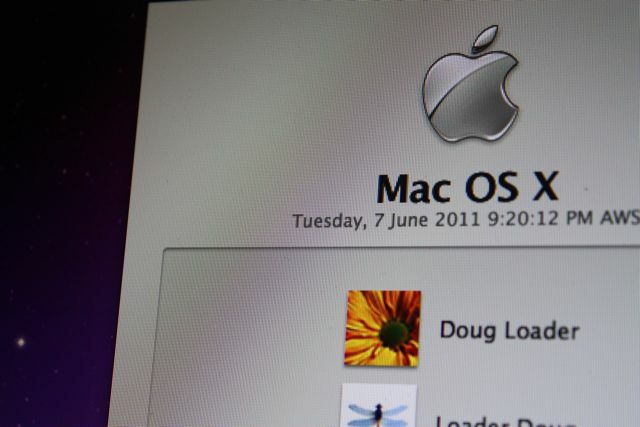 Australia's Disability Discrimination Commissioner Graeme Innes, addressed many issues but most notably the Universal Access options inside OS X. Combine these tools with keyboard shortcuts & folks of zero/low visibility can operate almost all aspects of OS X. This was reinforced by a chap called David Woodbridge who works with Apple evaluating their technology for use by low vision and blind user. A very beneficial 45 minutes were spent honing our presentation skills with an expert in public speaking. The same afternoon also saw us creating epub documents and discussing the various ways they can be consumed and what their impact on education may have. Also Keynote, Garageband and Final Cut pro workshops featured heavily. Always headed up by knowledgeable Apple staff who not only lectured and showcased, but also participated in other activities throughout the weekend. This of-course included meal and drinking times, these time slots were where the real ideas were shared and debated. My personal favourite part was talking â€œtop secret stuffâ€ with 3 Apple software developers, one of whom had worked on the iOS operating system. All the Apple employers were incredibly generous with their time. One in particular allowed me to quiz him for over an hour on the behaviour of Android, iOS and Windows Phone 7. If there was ever a time to get an insight into the thought that goes into the creation of a new platform this was it. Thank you Marcus for your tips and extending your knowledge and even contact details to me incase I had â€˜any other questions or interesting thought. All of these incredible talks & workshops, intertwined with fellow educators, most of whom became great friends, made for a remarkable weekend. Although I never really looked at this whole process as being a form of â€˜Professional Developmentâ€™ (and those 2 words were never included in any of the documentation) I must say I do feel some what developed. Leading the change - there is no doubt that the next 6 - 12 months will see a device revolution in the classroom. Whether that be a Google platform an Apple platform or an HP platform. It doesnâ€™t really matter which technology is used but we must first win over the support of our colleagues because it is in their hands in the classroom. If we canâ€™t deliver the correct vision a long time before we deliver the actual product then the transition will be slow & counter productive. Often I will be sent a photograph or graphic and I need a quick solution for removing the background. My first choice would be to import the image into Photoshop. As ever with Photoshop there are a few different methods you can use to cut out the focus of the picture, but sometimes the task can be tedious and if you are not familiar with Photoshop the task can be very time consuming. Using the Alpha Tool in Keynote, removing backgrounds can take seconds. Launch Keynote and select the black - blank template. Command-a to select all of the objects on the page then delete. Drag the image from your Finder onto the blank slide. In my example I have a picture of Paris Hilton, this image will work perfectly due to the simple background. With the picture enabled click once on the Alpha tool. Move your cursor onto the blue background, click once, hold the click and expand your selection. Youâ€™ll notice as you increase the diameter of the circle the blue that features in the picture is made transparent. As you drag, the selection grows to include the neighbouring area that uses similar colours. 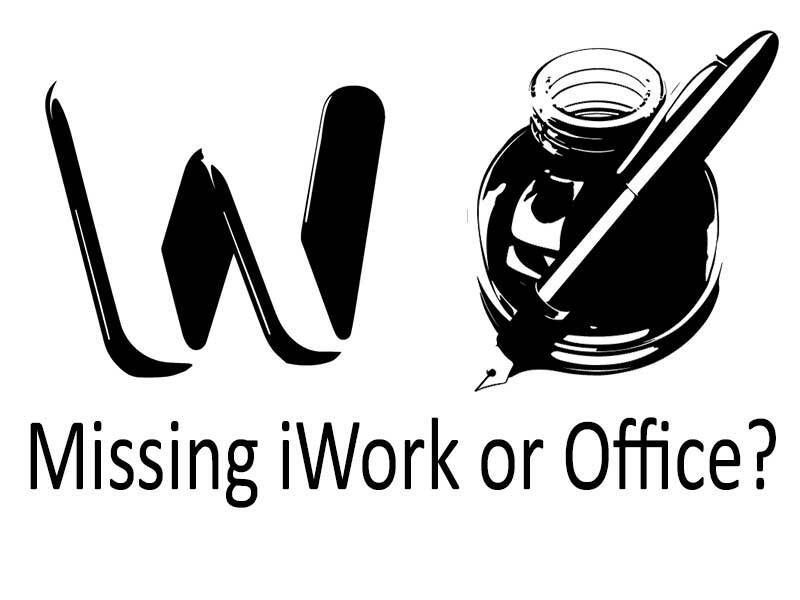 So now that you have added a transparent background how can you get the picture out of Keynote and into Photoshop? Just select the picture once and press command-C.
Command C copies the picture including the transparent area. Now you can flick over to Photoshop create a new layer and press command-V. Try removing more than just the background and some of the effects can be very inspiring. Hopefully you are already thinking of ways to utilise this method, for quick mock ups or short deadlines this technique has saved the day many times for me. Most students will have to teach themselves the basics of word processing, most develop some very bad habits which will permanently hinder them throughout their careers.Â I would like to see more students adopting some very basic terminology and practices from an early age.Â This short tutorial will look at page formatting, layout and design as well as printing and file handling. Specify the page size and orientation.Â Go to File - Page Setup.Â Default is A4 portrait. As the content of the document is of overall importance I often encourage people to not focus on any formatting until the majority of text has been entered.Â Aside from using the enter key to create new paragraphs, the student should focus on correct grammar and punctuation at this stage. After a document is written and edited you may wish to experiment with fonts.Â A document at this level should not consist of more than 2 fonts.Â However the student may want to incorporate the use of italics and bold typeface to quote or highlight certain text. The Body text.Â Your paragraphs will be full of Body text. The Heading text.Â Used to highlight text or add new sub headings. The Title text.Â Used for new sections and titles. Lists should also be mentioned here, offering the use of bullets or numbered lists.Â As used below for a list of some basic terminology (after an invisible page break has been inserted here). A decision should be early on ifÂ you need your document printed on paper size any different to A4.Â Your word processor will not automatically convert your document to a new page size if you change your mind later on.Â Select File - Page setup to adjust paper size and orientation. As soon as you start you first sentence please select File - Save.Â The first time you do this you will be presented with the â€˜save asâ€™ dialogue box.Â Please choose a relevant place inside your Home folder to keep the document.Â Use cmd-S every time you take a pause to save the document as the Apple Mac does not do this for you! Headers and footers are repeated across each page in your document.Â You can Insert date, page numbers, the file name or a personal message into your headers and footers. By default your margins are set to 2cms.Â Please have a look in the Inspector Window.Â The first category is the Document Inspector. Please familiarise yourself with the properties on this page and see how the page has been laid out for you.Â Agin this is all standard layout for word processors. When a word is misspelt it will be underlined in a red line.Â If you right-click the word spelling suggestions will be revealed. Another great tip is to hover your mouse pointer over a word, and press ctl-cmd-d.Â Keep the ctl and cmd key held down.Â Move the mouse over other words and you will have a constant window open showing you a dictionary definition and thesaurus entry. Generally I would recommend against using text boxes.Â Text boxes are quick solution to placing text and pictures onto the page exactly where you need them.Â However it is better to master the use of using the return key and a combination of line spacing and paragraph spacing first.Â Text boxes are objects on your page which can be customised with colour backgrounds and picture backgrounds, as well as line strokes and picture frames. The best method to inserting pictures is to position the cursor where you would like the file (or picture) to be.Â Then select Insert - Choose from the top menu.Â Select the picture from your home folder (or where ever it may be) and the picture will be placed in position on the page.Â The picture is placed â€˜Inlineâ€˜ meaning it behave just like any other letter in your document.Â You can adjust the size of the picture by pulling the small square handles at the pictures edge.Â Once the picture is the correct size please experiment with the way the text wraps around the picture. This tutorial covers the absolute basics with a fundamental part of your Mac. I recommend that you check this article out as it could be the most important tip of them all! Think of the Finder as your window into OS X (Operating System 10). The Finder is an application which runs constantly. Itâ€™s fair to say that the Finder is your desktop image and the files/folders which reside on your desktop. The Finder also handles your trash. But most importantly the Finder is the Finder window. Press command-N. This is a shortcut think of N for New. Now we can see our Finder window. Familiarise yourself with this Finder window. There are 4 different ways that you can navigate the Finder. My personal preference is the column view, I always recommend this to students and teachers as it makes most logical sense to me. Now control-click the Finder window and choose Show View Options. Check always open in column view. Control-click on the title of your Finder window. This displays the absolute location with your computer. Always store your personal files within your own Home Folder. If you ever migrate to a new Mac or need to grab all your personal files quickly youâ€™ll be glad you did! Your iTunes music collection and your iPhoto picture collection are kept safely in your Home Folder, as are your emails no matter which client you use. Notice your Desktop Folder in your Home Folder. Also notice the Applications Folder. Its empty right! Thatâ€™s ok, your system has another Applications Folder stored right at the top level of your Macintosh HD. That way more than 1 user can share the same applications on the Mac. Sometimes you might want to install an application in your own Home Folder/Applications, that way the Application is private and exclusively yours. My Finder window is small! Its missing the Sidebar! If you cannot see the whole Finder window just click the top right grey button. This will reveal or hide the sidebar. Also control-click the sidebar itself. Open Sidebar preferences. Here you can customise the look and feel of the Finder. Donâ€™t use the â€˜Search Forâ€™ smart folders? Get rid of them here. How do I create and colour folders? To create a folder simply control-click in the location you need the folder to be. Choose new folder. Right click that folder and select a label colour. In the Finder Preferences you can also change the name of the folder labels. Smart Folders allows you to organise files which have something in common. Now type a search criteria in the search field. In my example Iâ€™ve typed isupport. If I save this search and attach it to the sidebar, even new files that I save in any location on my hard drive will be added to this folder. Its worth noting though the files are not duplicated into this folder, you can simply see the original file from this new location. Spotlight is an extremely powerful search tool for your Mac. Use it just once to launch an application and youâ€™ll begin to realise how this feature can save you stacks of time. Press the command and space bar keys. Youâ€™ll notice Spotlight is activated in the top right of your screen. Type the letters â€˜ITUâ€™. Youâ€™ll see the top hit highlighted in blue is iTunes. Hit return and iTunes launches. If you are servicing another persons Mac or need to open a Utility you donâ€™t often use, Spotlight is an extremely quick alternative to scanning through the Application folder. Try it a few times and iâ€™m sure youâ€™ll be hooked! Select a file or folder anywhere on your Mac and press the space bar. This works with spreadsheets, pdf's, even presentation files. What a time saver! I hope that you found these simple notes helpful. If you get your head around the Finder early on and organise and structure your file system from early on, it will seriously pay off in the future. Do you ever find your Mac wrongly trying to correct your spelling? Â A common example of this would be words such as 'organisation' wanting to be spelt with a 'z'. Â Or of course colour, analyse, and fibre all having American variants. Â This can be very distracting when creating beautiful page layouts when all you can see is squiggly red lines underlining everything. This is a problem for any English speaking country that is not America. Â And it is no surprise that your Mac has been set up with "American English" as a standard (We'll later find that American English is listed as just English). Â Which perhaps should not be the case seeming asÂ Canadian and Australian English largely follow British usage. Well here is how you can set your system language to suit your country of residence so that you can always get it right. Your first step is to head to your System Preferences (Applications > System Preferences). Click on 'Language & Text' where we can specify exactly the variation of English we require. Drag Languages into order you prefer? Â Well English is already at the top, this is in fact American English. Â You'll need to locate British, Canadian or Australian English yourself. Click on Edit List... and here you will find many different languages hidden away. Â Scroll through the list and check the box next to the language you need. Lastly make sure that you drag your preferred language to the top of the list. Â If an application supports the first language in the list, its menus and dialogs will appear in that language. If it doesnâ€™t support the first language, it will use the second language in the list, and so forth. Once you log back in changes take effect. Do I need anti-virus protection for my Mac? Personally speaking I have never run any form of anti-virus protection on my Mac for home use. But then I never run 'dubious' software (such as bit torrent clients or cracked software) on my machine.Also I consider myself to wise to the ways of 'phishing'. If you keep your software up to date and back up your important data I see no reason for an average sensible home user to run anti-virus protection. Often you will find that these virus protection programs can be 'system hogs' and they will capitalise on a lot of your systems valuable CPU. However, if you are a business user or your Mac may be an attractive target for hacking or phishing then I would recommend that you err on the side of caution. Any free anti-virus tools I can use? The most popular free tool appears to be ClamXav. If you are running a large network for business I would recommend something more comprehensive from either Mcafee or Norton.